My name is Alex, I am 34 years old and I come from Belgrade, Serbia. 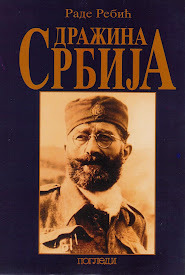 I think Mr. Freeman's book, The Forgotten 500, is of crucial importance to both the American and the Serbian people, because it sheds new light on our mutual relations which have been tragically tainted by events in the 1990s. It is also important to future generations, since the past ones and the present ones seem to have forgotten, or at least placed the truth aside. 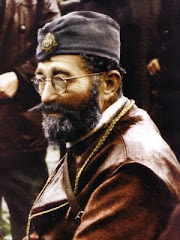 Believe me, when I first discovered that the Chetniks had saved over 500 American lives, I nearly fell off my chair. It came as an eye opener, and I hope others will see it that way, too. Serbian-American relations were officially established 128 years ago, on October 14, 1881. America was one of the crucial Serbian allies in World War One. She had sent aid to Serbia, she had printed posters "Save Serbia, our Ally", and many Serbian Americans applied as volunteers to fight "across the Pond" in the Great War. On July 28, 1918, President Wilson gave a message to the American people regarding Serbia's great contribution to the Allied cause and her sacrifices. Throughout America, this message was read in the churches and virtually all the major newspapers published it for all to read. The Serbian flag was raised over the White House and it flew over all the public buildings in Washington, D.C. 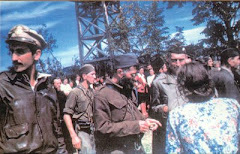 The greatest climax of Serbian-American relations was achieved, however, during World War Two. 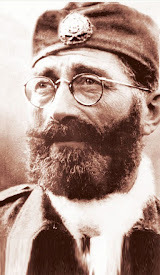 General Dragoljub Draza Mihailovich, who led the first guerrilla movement against the Nazis in occupied Europe, and his men known as the Chetniks, had risked their lives and the lives of many Serbian villagers, to save 524 Americans, mostly airmen, from being captured by the Nazis. 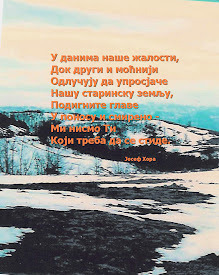 This truth cannot be undone (as the Croats, Bosniaks, Albanians and others have tried to do), and it should not be forgotten. The saying goes that The Truth Shall Set Us Free. 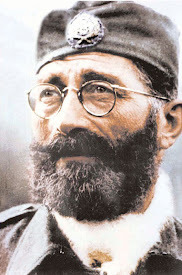 Serbs had suffered enormously in WW 2 but they shared respect, even love, for their American Allies, which cannot be said for all the other peoples of the former Yugoslavia, who mostly waltzed round and about with the Nazis and their puppets. 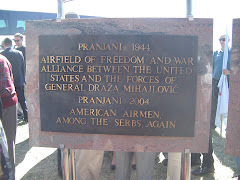 The poor Serbian villagers would sleep on hard floors while the US Airmen would get the bed, and they would also get the last piece of corn bread or egg. Hiding Allies meant certain death of everyone in the family, had the Germans found out. 524 American families have continued to live today thanks to Serbian actions in WW 2. Ordinary Americans should know this. American leaders, politicians and other influential people should know this as well since it was the biggest rescue of Americans from behind enemy lines ever noted in US history. This is THE event that should be taught in US schools, and should be in all US history textbooks, and Mr. Freeman's book, The Forgotten 500, is a lasting testimony. 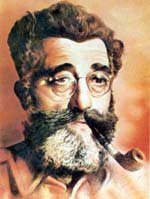 President Truman had awarded the Legion of Merit to General Mihailovich. Destiny wanted this most prestigious American medal to reach Ms. Gordana Mihailovich, the abandoned Ally's daughter, to receive it some sixty years later, at a private ceremony held in the premises of the US Ambassador to Serbia. 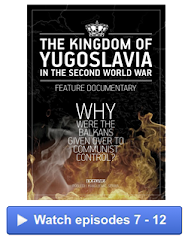 On the other hand, it is also vital for the Serbian people and Serbian leaders to know this, to have this book available in English and if possible in Serbian, in the major bookstores and libraries in Serbia, because the Communists had totally hidden this part of history, and a very important part of history it was, since it shed a new light on events in WW 2. 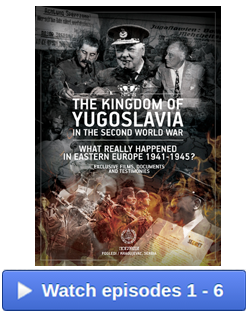 As far as I know, Mr. Freeman's book is the only one that extensively covers these events that have not been as known as they should be, because the US Administration needed good relations with Tito and his Yugoslavia during the Cold War, and because Tito himself was a Communist, and thus any positive mention of the Royalist Chetniks was forbidden in the country itself. 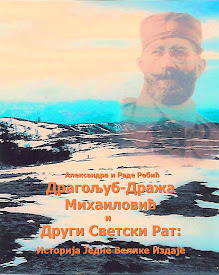 For the sake of the truth, for the sake of learning from our mutual past, and for the sake of our mutual future relations, I kindly ask all Americans and all Serbs to read Mr. Freeman's book, The Forgotten 500. We owe it to ourselves and to future generations. Thank you.